Tumbled marble tiles are made of pieces of marble which have been placed in large drums filled with sand, grit and water. These drums are rotated, or tumbled, for long periods of time aging, smoothing and antiquing the tiles. The result is a marble tile with fissures, pits, broken edges and a chalky, dull finish. Tumbled marble should be sealed prior to grouting to prevent grout from seeping into the pits. After grouting it should be sealed with a color enhancing sealer to protect it, reduce the chalky finish and bring out its color to ensure its continued beauty. The size of tumbled marble most used in a backsplash is 4 inches square. [Clean tumbled marble](https://homesteady.com/how-5127206-clean-tumbled-marble.html) that has been installed in the backsplash area for a while well with a stone cleaner. Spray the tiles with cleaner and rub them dry with a cotton cloth to remove any grease, food splatters or debris. Seal tumbled marble tiles for the first time with an impregnating sealer, which will provide invisible protection and act as a grout release. Pour the sealer out into a plastic bowl large enough for a craft brush to be dipped inside. Saturate the foam of the brush well and paint the backsplash from top to bottom in overlapping strokes. Watch for drips and wipe up any before the can dry on the counter. Let the impregnater dry for 10 minutes and buff the marble dry. Pay close attention to fissures, pits or surface divots which could harbor excess sealer. Seal grouted tumbled marble tiles with a topical, color-enhancing sealer. Pour the sealer into a separate bowl and use a fresh craft brush to apply the sealer. The tiles will deepen in color and lose their chalky residue. 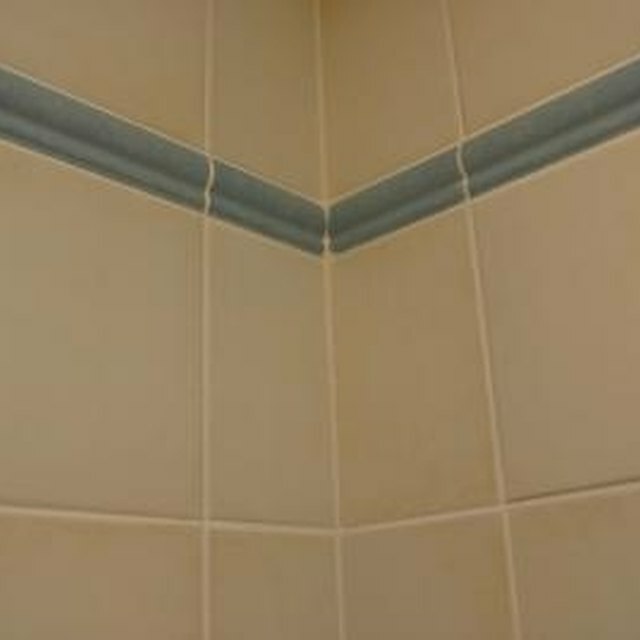 Take care not to get the sealer on the grout; color enhancing sealer for tumbled marble can give grout a sheen. Buff off the sealer after 10 minutes. Color-enhancing sealer is only recommended, not required for tumbled marble. Once the impregnater is on, you can decide if you like the color as is or wish to deepen it. Use the final sealer on an ongoing basis to maintain the backsplash.